While on the subject of trend-bucking, here’s a VC backed online mattress retailer Casper launching a magazine in print? “Woolly” wants to be the last thing you see at night before you turn out the light. There’s a great idea from the throwback pile; turning a few pages before bed. You can order a copy for $12 USD, but it appears to be free for those reading it on top of a Casper mattress! Plus, with titles like ‘The best comfort food is all of them’ by Editor John DeVore, how do you go wrong? Woolly even has a coloring book section! How long until we hear the words, “You’re not listening to me. I’m going to go color in my Woolly in bed.”? Hmmm? 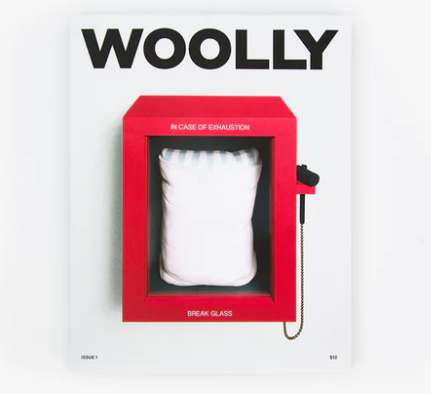 Quite frankly, we think Wooly’s creators nailed it. See The Whole Darned Wooly Story Here!